Today, amid more conference travel, I’ll be focusing on two major events—which peculiarly overlap in their lessons, as our headline suggests—and adding our weekly conference listings. This is a net cast less wide than in some weeks, but I think this focus is important. Once you’ve helped make a community, you have an obligation to nurture and sustain it. If you decide you want to do something else with your resources, you still have to provide for its care and feeding. You don’t shut everything down without making an attempt to at least provide for its welfare. Last Thursday, Tim O’Reilly announced that the company named after him is shutting down its Tools of Change [publishing conference and community program] and laying off Kat Meyer and Joe Wikert. O’Leary’s write-up is headlined Wrecking Ball: “Life is not a tour of gas stations.” And he is quoting Tim O’Reilly with masterful irony. O’Reilly used the “tour of gas stations” phrase in February when he spoke to what we now know was the last Tools of Change for Publishing conference in New York City. “But I like to say that making money is like putting gas in the car. You know you need to do it, but life is not a tour of gas stations. Any events professional will tell you: the way O’Reilly handled TOC is insane. If the company wasn’t sure it wanted to keep running TOC, at the very least it should have put the franchise up for sale. Even if someone was willing to offer just $1 to take over the franchise (as I and many others would have done in a heartbeat), O’Reilly would have saved both face and the cost of severance. Two people widely respected by the industry would have kept their jobs, and the community would persist. O’Reilly Media abruptly shut down the 7-year-old Tools of Change (TOC) Conference program, collapsing its international editions, its regional programs (the “Mini TOC” series), its flagship Manhattan events. Tim O’Reilly’s announcement came in the form of a blog post of his own, Ending the TOC Conference, But Still Pushing Tools of Change for Publishing. These days, the hair of the industry! the industry! stands pretty much on end daily, our corporate culture coiffed with crisis after crisis. But on Thursday evening, when this post was discovered? It fairly caught fire. Judging from the talks and Direct Messages I’ve had with livid colleagues and shocked sources since Thursday, O’Reilly’s article is easily one of the most reviled publishing statements in recent memory. Not since the word last July that Pearson (Penguin) was acquiring Author Solutions—the “author services” company so fiercely hated by writers—have I heard such unrelieved, bitter cursing about a publishing company’s move. In fact, it brings to mind one other recent event, one which reached far beyond publishing: the announcement that Google would shut down its Reader. Look at how much trust Mountain View squandered with that one, sudden swipe of the corporate paw. Trust, thrown back into the faces of the trusting, lands like a brass knuckle. This time, the furor is seated squarely in publishing and in the satellite technologies that ring it today, the “technobabble” forces referred to by EIC Edward Nawotka here at Ether host Publishing Perspectives in his TOC RIP: Fare Thee Well, for Your Work is Done. 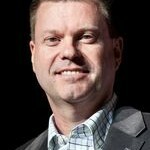 The thing that made TOC valuable—unique—was its ability to cut across a range of silos and present ideas that mattered. Despite what O’Reilly claims, that isn’t something other events do or even try to do. 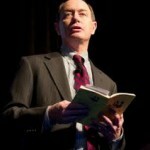 It comes at a time when other publishers are looking for ways to leverage their brands into new revenue streams of exactly the sort that O’Reilly has now unceremoniously pulled the plug on…Certainly for other conference producers, like myself, TOC has set the standard to which we’ve all tried to reach. And on a personal level, I have learned most from Kat and Joe’s focus on TOC being as much about connecting people as it is about sharing ideas. We are a people industry after all. To be clear, I have not communicated with Joe Wikert or Kat Meyer, myself, since we all got this sorry news. I tweeted my high regard for them both. They are my friends as well as my colleagues, and they are also two deeply admired and appreciated leadership figures in publishing. I will say now that I’d rather O’Reilly have said nothing about them whatever in his announcement than to thank and dismiss them in two lines at the bottom of the article. I’ve held off on being directly in touch with Wikert and Meyer so I could write first about this incident in terms of what it feels to be on the wider, business level: a betrayal. 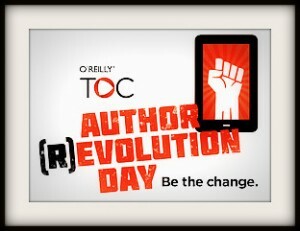 In Thursday’s post, O’Reilly claimed that “after TOC 2013, we realized that a conference was no longer the best vehicle for us to contribute to publishing’s forward movement.” In fact, the company had been working against itself for months before this decision was announced. I confess that I’ve hoped in the last few days to find some way to see the O’Reilly bombshell as something other than a crassly executed, astonishingly shortsighted and probably, yes, callous misfire. I don’t want this to be the case. But it appears to be just that, both on the human scale of this action’s handling of Wikert and Meyer, who should have had a chance to communicate with the community they nurtured on O’Reilly’s behalf, and on the industry plane, where that community and its value—let alone the sterling brand it animated—seem to have been least valued in the home office at Sebastopol. I spent the weekend live-tweeting a writing and publishing conference in Boston, the Muse and the Marketplace, produced for a 12th, spirited year by the non-profit Grub Street creative writing program. I have more about this in the second part of today’s Ether. 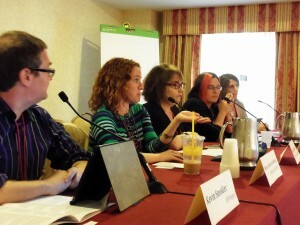 The very last session I covered in Boston was titled “Strength in Numbers: The Power of Online Communities.” It featured some of my Writer Unboxed colleagues. And while the emphasis there was, of course, on the new sustenance that many authors are finding in developing Web-based relationships with each other to ease the profound isolation of career writing, the rich context of that movement’s arrival now helps me appreciate O’Leary’s eloquence—and to feel even more keenly what has been taken from us in the demise of TOC. 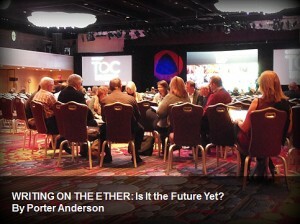 I left TOC 2012 last year, for example, Etherizing my concern that entrepreneurial authors weren’t getting a chance to hear and see the industry’s thinking at the New York-class conference-going produced by F+W Media’s Digital Book World and TOC. In handsome response, Author (R)evolution Day was organized as a full-day pre-conference event this past February by Wikert and Meyer, with Bookigee’s Kristen McLean as co-chair. By way of disclosure, it’s good for me to note that I was onstage at #ARDay, as we hashed it, to interview Grub Street’s founder, Eve Bridburg on her operation’s Launch Lab and its author-embracing reality tests. I was delighted to help Wikert, Meyer, and McLean, recommending a highly valuable speaker needed on the roster for the day, the “radical advocate” of authors, agent and manager Jason Allen Ashlock. I wrote up the success of the event, in Writing on the Ether: A Good Day for the (R)evolution at JaneFriedman.com. And I was thoroughly impressed with TOC for undertaking the program. One of the best elements of the (R)evolution Day program for me was Tim O’Reilly’s presence. 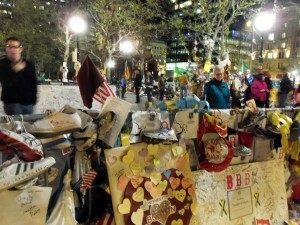 He sat with us, front row on February 12. He listened, all day. He took notes. I felt we’d been not only enabled but joined by this man of real insight and foresight. This looked like engagement, care, interest. 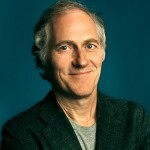 And Tim O’Reilly has stood as a kind of hero to many of us for a long time. 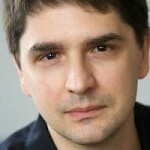 Almost any of us who have been involved with TOC’s great conferences—which were developed to point up, investigate, and propel the potentials of the digital dynamic in publishing—have had experiences of the type collegial interchange O’Leary describes in his post around a dinnertable in Berlin. This past February, I had a similar impromptu supper in Manhattan with three highly valued British colleagues who had flown from London for TOC: the digital author and Bath Spa University professor, Kate Pullinger; the publishing consultant and writer Sheila Bounford; and the Contentment founder and apps/ebook tools creator Michael Kowalski. In London last month, I met up again with Bounford and Kowalski at the Digital Minds Conference produced by London Book Fair. I’m reading Pullinger’s The Mistress of Nothing, and she has kindly invited me to write for her author-support site, The Writing Platform. O’Leary’s and my examples are just two of myriad path-crossings TOC has facilitated for the better part of a decade. And here’s the thing: while I think none of us would have asked a man like O’Reilly for the sheer volume of selfhood that musical artist and writer Amanda Palmer brought to her pivotal keynote address at the Muse this weekend in Boston, I can tell you that a lot of TOC folks—even business-side operatives, not artists—thought that in this man O’Reilly we were seeing what the critic James Wood (also in Boston) has reminded us Walter Benjamin quoted Nicolas Malebranch to call “the natural prayer of the soul”: attentiveness. Now, it seems, O’Reilly was not attentive. Now, it seems, the heart belonged to Meyer’s and Wikert’s generous and nonstop commitment to what I wrote up as “TOC around the clock.” Now, it seems, we were mistaken, and today feel duped, even inadvertently, misled in ways the legion of fans of an intelligence like Palmer never will be tricked. They know it. They know it not about her but with her. I watched this at close range Saturday evening in Boston because I was cheek by peach-fuzzy jowl with those fans online, pumping my own 110 or so live-tweets of her lyrics and speech text to them and watching members of her 874,659-person following stop, drop everything, turn to each other, and say, “Look at this…have you ever noticed this?” just as she was saying it to us. They explored her difficult, restless quandaries with her. And there is power in that lesson. 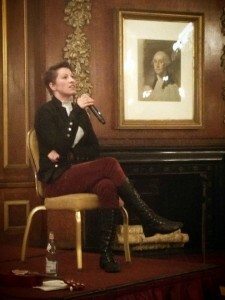 Palmer is hardly my regular beat—I’d just live-tweeted Mr. Amanda Palmer, Neil Gaiman, in London at Digital Minds, much closer to my norm. But how good it was to speak with Palmer after her keynote. We’d seen no facade. She’d come along this time more naked than when she’s naked. A woman who can ditch her rock-stage persona, stand at a podium, and read a soaringly articulate speech to 800 riveted writers—a speech she confesses to them was finished in the car on the way to the keynote—is someone so formidably in touch with her purpose that when she says to the room, “Thank you for connecting the dots,” those dots are minds conjoined and lifted together on a tide of incorporated interplay: conference. @katmeyer and @jwikert will always remember the incredible #toccon world and how much it was yours. Palmer’s dots were connected, O’Reilly’s community sat down together, and I hunched over my freaking laptop yet again at my table at the back of the room, ready to brow-tweet you with what was to come. And it was valuable. From Tim O’Reilly, I’m genuinely sorry to say, we seem to be hearing nothing so heartening as what we got from a woman with a ukulele in another, more northerly hotel ballroom. A couple of my colleagues have said that O’Reilly, the man, is strictly a figurehead now, not expected to be personally “attentive,” as Walter would have said to us, and thus disconnected from his own company’s dots. I can’t see that as a valid excuse. The name is his. The picture is his. The post is in first person. We are all made less by this disconnect and this failure. Publishing hardly needed such a loss as that of TOC. And Brian O’Leary is asking the key question: Should there not have been an effort made to find a new berth for it? For that matter, was there such an effort? Do we know? Now, look, about that woman with the ukulele (and before Tim O’Reilly takes up the autoharp or something): This was as moving a keynote as such an event is supposed to be at a writing and publishing conference. I’m dwelling on it for that reason. I can give it to you quickly. 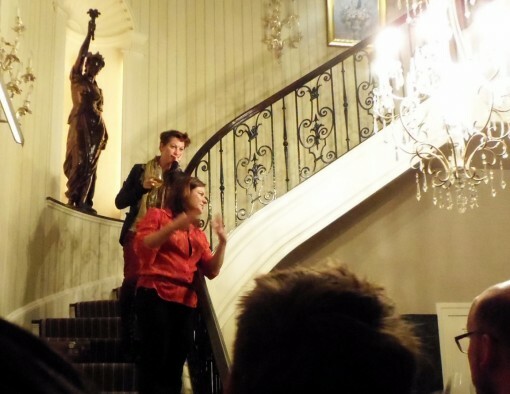 Not only is Amanda Palmer known as an artist who has gone to the mat to work out the up-close-and-personal contact with fans prescribed in this age of community, but she also is eloquently aware of this; aware of the rarity of her wildfire success in crowdfunding on Kickstarter; and as fascinated, herself, as many others are with the character today of loyalty-building networks. I’m trying to say without bugging her fans, whom I respect, that she’s able to tell the rest of us that she actually does know this is not the norm everywhere. She is not, to put it plainly, living an unexamined success. And I asked her when we spoke at the home of Grub Street longtime supporters Jay and Christy Cashman after her talk Saturday evening if what I’d seen in her speech was correct. She confirmed it: Palmer was moved, herself, to be able to speak Saturday not to an “audience” in the usual sense of her followers, fans, and admirers, but to fellow artists, strugglers, and hopefuls. Grub Street’s Eve Bridburg (you say “Brid” to rhyme with “grid”), I feel sure, got more than she could have expected when she invited Palmer: the arrangements were made before the Boston Marathon bombings. It appeared to mean a lot to Palmer to have a chance to talk, quietly, to a rapt Georgian Room crowd of hundreds of writers about that experience. This was an extensively prepared and argued talk. Her keynote was about her belief that the real purpose of the authorial act is to “connect the dots,” on whatever field trip our perceptions may take us. She means to find the liaisons in life and the similarities even in horror, the fears and pain and life-and-death gravity that so strangely bind humanity together with its contradictions flapping in the breezes of explosive concussions. It was good for Palmer to have this chance, and it was good to see the writers follow her studied, almost elegiac reasoning, with understanding for her critics and their own fears and qualms. 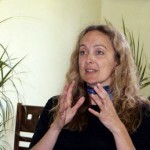 Palmer’s concept of a writer as a person whose empathy must be free to connect all the dots houses a special understanding of what the digital era’s pressures mean to artists, including writers. The proverbial garret in which creative work is hidden until ready, she concedes, is supposed to be evacuated: we’re all expected to run out into the marketplace and hawk our wares. Her answer to that? Stay in your garret but open the window, yell out to friends and invite them in. What makes this especially poignant is that in its 12th year, Grub Street’s The Muse and The Marketplace conference she addressed is a major regional gathering of real quality and effectiveness—in a garret called Boston. Maybe this is a definitional element of regional conference work, but, as some of us noticed in the recent literary-agents-vs.-Barry Eisler embarrassment at Colorado’s Pikes Peak Writers Conference—here’s that story Etherized, if you missed it—there are gulfs between some of the great regional organizations of creativity in the industry today. A provincialism, probably unintended, seems to make the differences between these events very wide. For its part, Boston’s Muse clearly is ready for the marketplace, and perhaps for more than opening that window and shouting down to us to come on up for its annual party. Grub Street, the writing center that produces the conference, is non-profit, with a fast-expanding budget, Bridburg and her associate Chris Castellani tell me, of some $1.7 million. More than 2,500 people will take part in writing and business-of-writing (muse and marketplace) courses, workshops, and other events in its year-’round program. 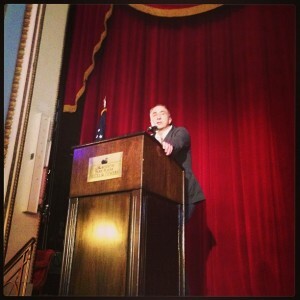 This weekend, the attendees at the conference heard from national figures as well-known as New Yorker critic and author James Wood; Amazon’s best weapon, Jon Fine, who manages the company’s relations with authors and publishers; authors Randy Susan Meyers and Madeline Miller; the Boston Globe’s Mitchell Zuckoff and Nicole Lamy; Goodreads’ Patrick Brown; Movable Type Management’s Adam Chromy; and many more. There were key instructors in social media, marketing, publicity, and manuscript preparation, as well as in fiction and nonfiction techniques in voice, narrative point of view, and story development. Genre sessions, workshops in which material was read aloud, “Hour of Power” sessions attendees could sample for minutes at a time, and the awarding to author Ellen Cassedy of Grub Street’s anonymously funded National Book Award for We Are Here: Memories of the Lithuanian Holocaust. Each year, attendees at the Muse burrow through the rabbits’ warren of the old Park Plaza’s convention center, searching out room after room of speakers and presenters and, of course, networking, exchanging anecdotes and contact information, preparing to recoup, yet again, into their garrets but with increasingly powerful and often invasive electronic communications connecting their collective dots. Bridburg, Castellani and their incredibly resilient staff and squadron of volunteers managed by Sonya Larson and Whitney Scharer have worked Boston’s philanthropic resources so well that their board members and contributors are engaged and involved, present and accounted for. The National Endowment for the Arts smartly helped fund part of the program, including Palmer’s keynote address Saturday. But as questions from the floor revealed all weekend, these events are needed. The overall level of digital awareness, online fluency, and marketplace window-shouting I’ve observed in Boston from my “Twitter command center” at the backs of so many presentation rooms remains disturbingly basic. This is no stone thrown at Boston. At least that city has a program like Grub Street to address these issues aggressively. When the Muse conference flew me in, as many conferences do, to live-tweet its high points and sessions, however, what I found was that the endemic preference of so many authors for craft over biz persists in that New England enclave of writing as it does in so many other regions. Attendance seemed comparatively lower in many of the “Marketplace” business-of-writing sessions I covered. For example, there may have been no more than 40 people or so in a fast-paced, tweet-storm of a session on what authors need to know and do about promotion and publicity for their books. The room could have handled 150 or so. And from author Therese Walsh: “I started a community and didn’t mean to,” about Writer Unboxed, the group blog site she and Kathleen Bolton created. Your book has to be good. It has to be as good as it can be. This doesn’t happen because your mother gave it a once-over. You must invest in your book’s success. The tone of the Muse on the subject is healthy, exploratory, and forthright—in many instances I heard authors being told both the pros and cons of self-publishing and traditional publishing. And in his luncheon keynote address, James Wood might have picked up Amanda Palmer’s ukulele on the way in the door. Boston’s the Muse and Marketplace is ready for some “serious noticing,” itself, by a widening body of writers who need the compassionate craft-based reassurance that, yes, opening the window on that marketplace is truly necessary now. Because Tim O’Reilly may have been kidding us all along or he might have lost heart or interest somewhere along the way. 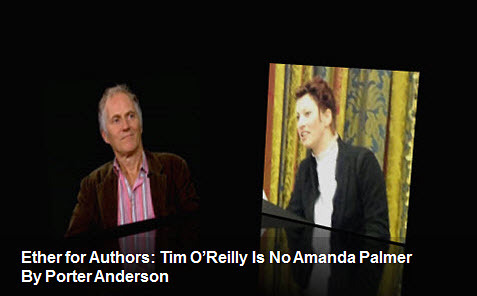 But Amanda Palmer isn’t fooling. Look at the heat she took over her post-bombing writings. And a lot that publishing people need to hear? Just went down at a conference. Conference. The work isn’t over yet, Tim. If you have a publishing conference in the offing, let me know about it via my contact page, and I’ll be happy to consider including it in my site’s listing and in columns as I have the chance. Here’s a look at conferences coming in the near term. Please note that a listing here is not my endorsement of a conference or other event, but an informational inclusion. May 28 New York City: Reaching Readers: Book Marketing Conference 2013 is a production of our Ether-eal host here, Publishing Perspectives and the Frankfurt Academy. An early-bird rate of $365 runs to April 15. After that, regular price is $415 for the day that features expert commentary from folks including Ketchum’s Nancy Martira, Scholastic’s Morgan Baden, Wiley’s Jeanenne Ray, Edelman’s Steve Rubel, and many more. 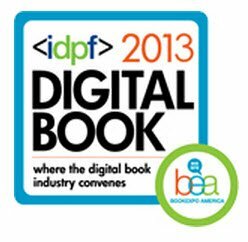 May 29 New York City: Publishers Launch BEA is May’s installment of the series of daylong conferences programmed by Mike Shatzkin of Idea Logical and Michael Cader of Publishers Lunch. Speakers on tap so far include agent Brian DeFiore, Enders Analysis’ Benedict Evans, Trident Media’s Robert Gottlieb, Aerbook’s Ron Martinez, consultant Peter McCarthy, Hachette’s Ken Michaels, and more. 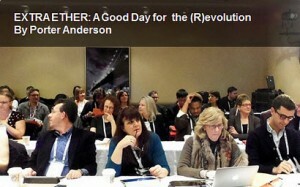 Porter Anderson is a Fellow with the National Critics Institute, a 32-year journalist with several newspapers and three networks of CNN, as well as a producer posted to the Rome headquarters of the United Nations’ World Food Programme. 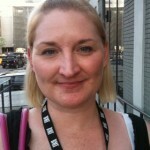 This column, Ether for Authors, appears here at Publishing Perspectives on Mondays. 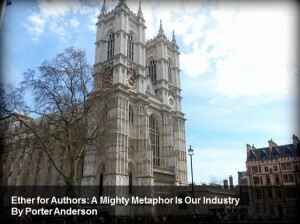 Anderson’s Writing on the Ether is read Thursdays at JaneFriedman.com and he is a regular contributor to WriterUnboxed.com. His all-new London on the Ether for The Bookseller was inaugurated during the London Book Fair. More about him is at PorterAnderson.com. More about him is at PorterAnderson.com.